Could there be a better time to be British? We’ve flown the flag for the Queen’s Diamond Jubilee, it’s the run up to the London Olympic Games and Jeffery-West celebrate their 25th anniversary this year. In true dapper tradition, the luxury footwear brand are stepping out in anniversary style with the limited edition ‘Albion’ Union Jack Oxford Shoes, priced at £295*. 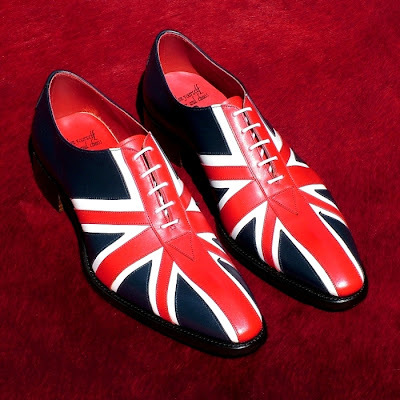 Goodyear welted and made in England this lace up Oxford is a patriotic salute to the British footwear industry as well as a fitting benchmark for Jeffery-West’s on going success. Jeffery-West is a renowned luxury men's footwear and accessories label for today's modern dandy, combining the unmistakeable quality of traditional English made products with truly decadent, modern design and detail. Jeffery-West is one of menswear’s best kept secrets, and their shoes are often seen on the paths less travelled! Just like their re-workings of traditional footwear styles, Jeffery-West also offer a range of traditional gentlemen’s accessories, all handmade in England, but equally all re-imagined to compliment the themes and styles of the footwear. With an impressive and eclectic range that add a touch of individual imagination to any wardrobe, think English pewter cufflinks, leather gloves with red silk lining, croc print leather ipad covers, statement rings, and belts fastened with devil or serpent pewter buckles, whilst black walking canes are topped with silver cobra heads or ball and claws. A twenty first century experience, yet inspired by Regency dandies, twentieth century subculture and pop culture, literary and filmic references and a whole swath of swashbucklers, wits, hell raisers….all influence and inspire the Jeffery-West designs and give their names to styles that last, including Keith Richards, Steve Marriot, Terence Stamp, Oliver Reed, Peter O’Toole, Brian Jones, Jarvis Cocker, Bryan Ferry, Roger Moore, Richard Burton, Richard Harris, Bram Stoker and Beau Brummell, to name a few. So why not follow in the footsteps of recently donned Jeffery-West iconic dapper chaps and take a lead from Mickey Rourke, David Beckham, Leonardo DiCaprio, Sylvester Stallone, Laurence Llewelyn Bowen, Jarvis Cocker and Bryan Ferry, and visit the theatre of coveted style heaven. 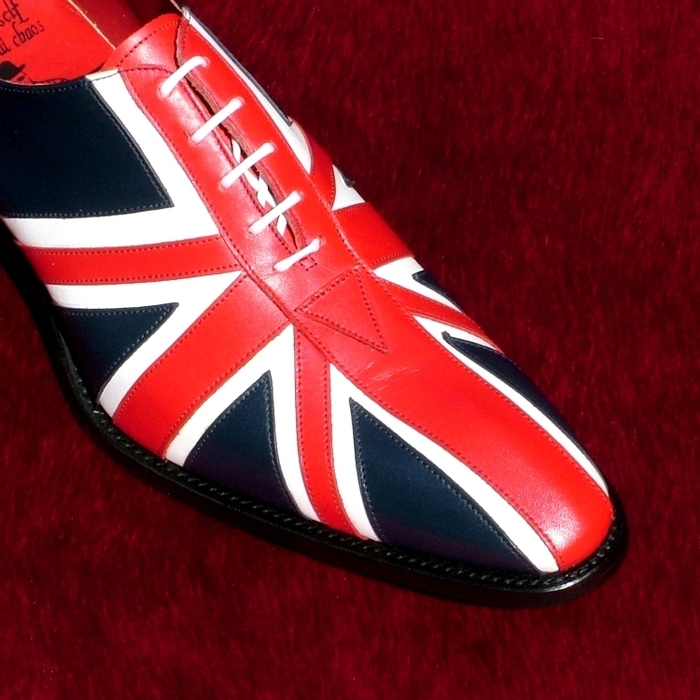 Be ahead and don’t look back, step out in union jack………..